Caitlyn Bobb would represent Harford Tech during the Maryland Public Secondary School Athletic Association 2A Central Regional Championships. Competing in the Women’s Varsity 300 Meters Bobb clocked a winning time of 42.56. Bobb would also win the Women’s Varsity 500 Meters clocking a time of 1:19.39. 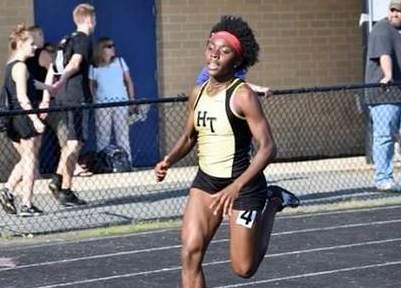 Bobb would lead off the Harford Tech Women’s Varsity 4x200 Meter Relay team that won with a time of 1:51.28. Bodd would then run the anchor leg for the Harford Tech Women’s 4x400 Meters Relay team that finished second with a time of 4:20.53.